Executive Mosaic is honored to announce Ted Davies, president of Unisys Federal Systems — the information technology company’s U.S. government business, as the newest inductee into the Wash100, the premier group of leaders who drive innovation and growth at the intersection of the public and private sectors. The 17-year Booz Allen Hamilton veteran first joined Unisys in 2003 as managing partner for civilian agencies and has led that company’s federal business organization since 2009. “Since I started in my present job as president of Unisys Federal Systems, I’ve guided the evolution of our strategy in response to changes in the market,” Davies told GovCon Exec. 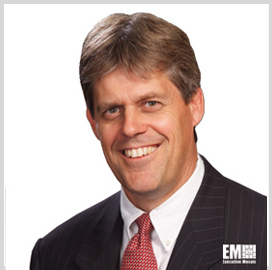 During his tenure as president, Davies has sought to guide Unisys in targeted growth markets of data center transformation and outsourcing; end user outsourcing and support; application modernization and outsourcing; and security. “We’ve adapted our strategy to import more innovations and resources from other parts of Unisys, and we also share federal solutions with the rest of the company,” he said. Davies, a corporate senior vice president at Unisys since 2009, pointed to the Interior Department‘s 10-year contract vehicle award to 10 companies — of which Unisys is one — as a foundation for the company’s cloud computing work in the federal market. The company won the first two task orders under DOI’s Foundation Cloud Hosting contract and also is working with other federal agencies to move their enterprise systems into cloud environments. “We moved the General Services Administration’s entire enterprise to the Google Apps for Government platform in five months,” he said. Outside of Unisys, Davies serves as chairman of the board for the United Way’s National Capital Area chapter and is on the board of the Northern Virginia Technology Council.